A city in Texas – home to the “Gusher Age” of American oil – is aiming to become 100 per cent renewable within two years, after finalizing a deal with SunEdison to supply it with solar power for 25 years. Georgetown – population 54,000 – will take the output from the 150MW solar plant and another 144MW from a new wind farm to source its needs from renewables. The local utility saying it has turned to wind and solar because it is cheaper and more reliable, and requires a lot less water. The deal with SunEdison will provide electricity at a lower overall cost than the City of Georgetown’s previous wholesale power contracts – and will supply more than 9,500 gigawatt-hours of renewable energy to Georgetown rate payers through 2041, enough to power more than 24,000 homes a year for 25 years. More about this later. 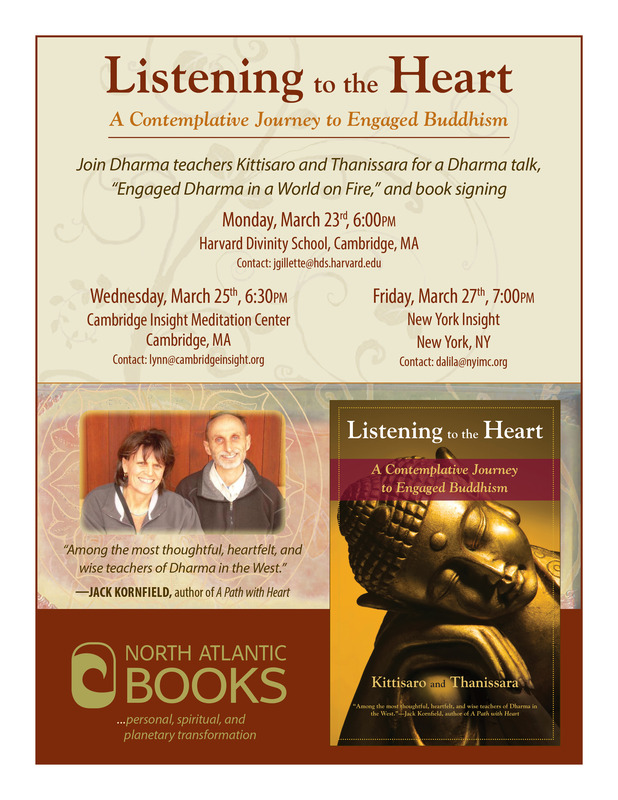 For now, if you are in the Boston / New York area, do join Kittisaro and myself for a series of talks and workshops — focusing on Listening to the Heart and the relationship to Engaged Dharma in a World on Fire. Listening to the Heart, A Journey to Engaged Buddhism is our new book, which came out in November, and will be available for signing. Hope to see you there!